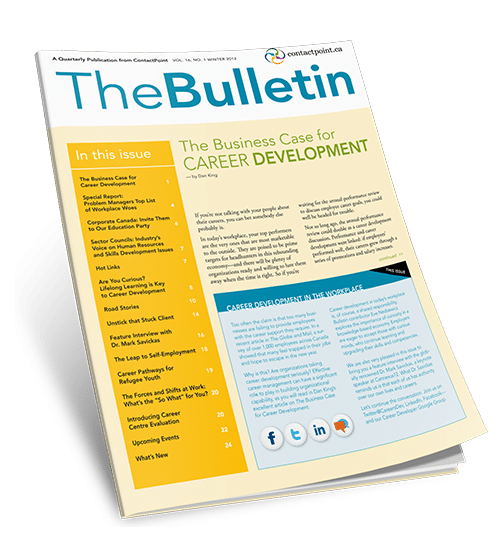 The ContactPoint Bulletin was a quarterly publication dedicated to career development resources and reflections. The Bulletin was replaced in 2013 by Careering magazine. ContactPoint, an online community for Canada’s multi-sectoral career practitioners and a web pioneer, ran from 1997 to 2018.